We are an award winning fishery with over 12 incredible species of sportfish. Quebec is dedicated to offering you an multi species fishing experience as well as ensuring long term, sustainable management of angling resources. There are over 10 sportfishing species to choose from. Walleye is one the tastiest fish there is! Since walleye are such a desired catch there are strict regulations in place. This is to help make sure that the population continues to grow. Walleye is well known for both its delicious taste and fickleness. It’s best to try and catch walleye in the morning or late at night, this is because walleye tend to feed in the dark. One of the most distinct features on a walleye is its over sized eyes- for the purpose of feeding at nighttime. In Quebec, walleye is commonly referred to as doré- because it’s like finding gold! These fish are usually found in clear, deep waters or stained, shallow waters. They are a medium sized fish ranging from two to three pounds, although the record in Quebec is 12.5 lbs! 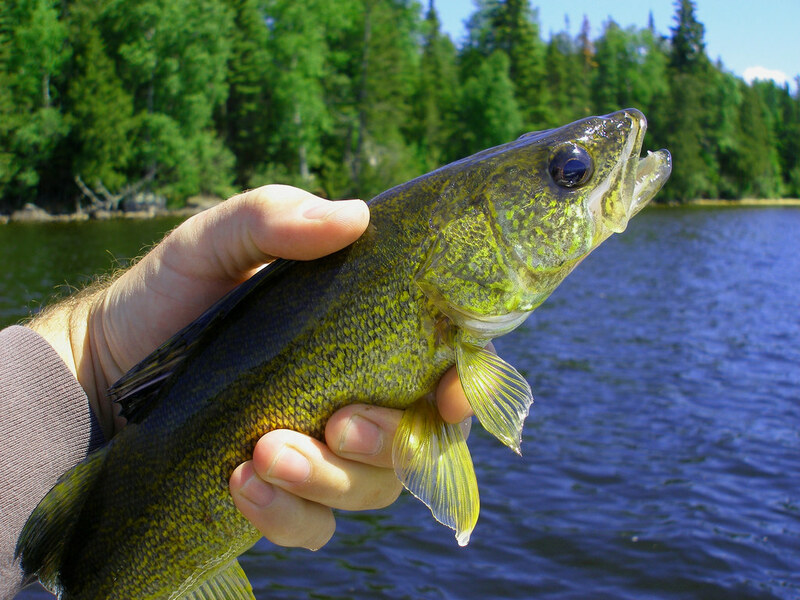 The most popular techniques for walleye fishing is the use of live bait and popping plugs, as well as rigging and jigging. As the water warms up in late May and early June, the walleyes move from the spawning areas into the main part of the lake. You will find them near rocky structure adjoining land. The Northern pike, also called the fresh-water shark, is a powerful and aggressive predator. These fish are fighters and give the full meaning to the phrase “sport fishing”! Northern pike fishing is for the true thrill-seekers, they don’t give up without a fight. Once you get them in your boat, however, they are a delicious fish. They have a firm flesh that is very tasty, but they are one of the more boney fish out there so this makes them difficult to clean. Northern pike are usually larger in size weighing anywhere from 3-15lbs! These fish have been recorded weighing up to 30lbs in Quebec. They are known to inhabit areas that are thick with lily pads and weeds that provide protection for the fish while they are chasing their prey. The best time to fish for Northern pike is in the fall season, but they are known to be hungry during the summer months as well! Atlantic salmon live in the ocean, but they return to the river where they were born in order to spawn. This is when anglers in Quebec have the opportunity to face off against the legendary combativeness of this noble fish! Unlike many other fish, a spawning salmon doesn’t feed, so it’s a challenge for the angler to disturb the fish enough to provoke an attack. Although this can be difficult, the fight is worth the trouble! 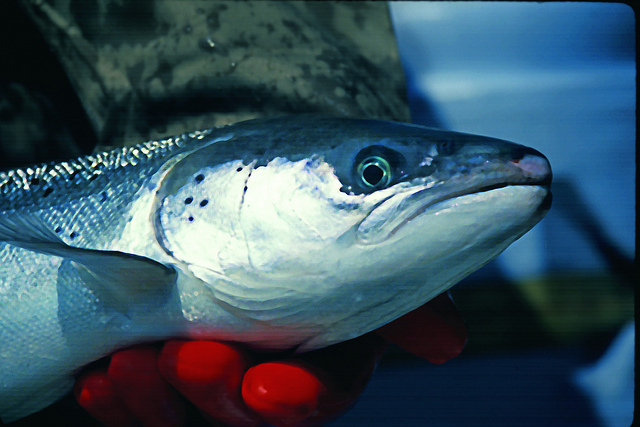 Based on river locations, the freshwater phases of Atlantic salmon can vary between two and eight years. Salmons over the eight year phase have been commonly found in Northern Quebec- this mean they are big fish! Although Atlantic salmon is delicious and a fun catch, salmon fishing requires a special license and a fishing right of access pass. Salmon in Quebec can range from 4-22lbs and can grow up to 40 inches in length! They are pale with dark markings, but can be bronze or dark brown during their spawning period. 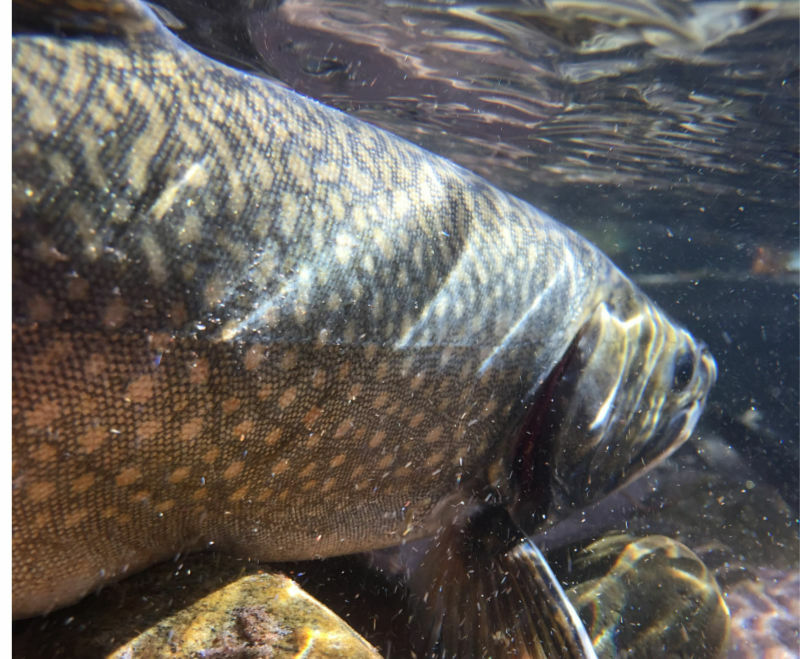 The Lake Trout (a freshwater char) needs deep, clean and well-oxygenated water. It is a combative fish and tends to live in deep lakes. Since it is a slow-growing fish it is also very late to mature, this means that populations are extremely susceptible to over-fishing. In Quebec, fishing for lake trout is best in the summer months. These fish spend the summer just above thermocline to feed on the massive schools of Whitefish. Lake trout are easy to find if you use the right tactics, they are usually found in great numbers and various sizes. They are common in the 1-12lbs range, but some anglers in Quebec have caught Lake trout that are over 30lbs! Lake trout are a very fickle species of fish so it hard to say where and when they will likely be caught. It is recommended that you use spoon lures for the best results. This is an Atlantic salmon that lives in freshwater lakes. It is very popular with anglers and can be found mainly in the Saguenay−Lac-Saint-Jean and Outaouais regions. When landlocked salmon leave the pools of the river to spawn, they move upstream. You can find them in areas of shallow water with a swift current and a gravelly bottom. The average size of a landlocked salmon is 16-18 inches, but they can weigh anywhere from 1-5 lbs. Adults are generally silver in colour with a slightly forked tail. They also have small X-shaped markings on the back and upper sides. In Mauricie, landlock salmon are said to have been introduced at the time of private fishing clubs. 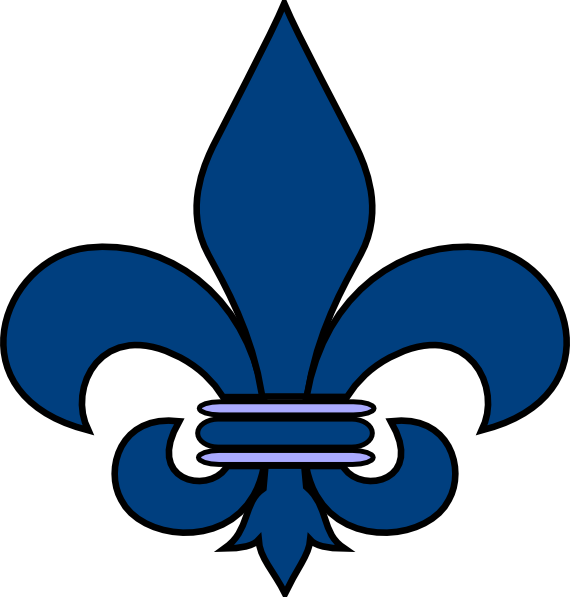 It can still be found in legendary Lac Sorcier, in Réserve faunique Mastigouche, where it was implanted in the early 1900s. This lake is still a popular fishing destination in Mauricie, where landlocked salmon are rare. The Arctic char, likes deep lakes and cold water. Arctic char are distributed across the Canadian Arctic Ocean. Arctic char are the most Northerly distributed of any freshwater fish. The best time to fish for Artic Char in freshwater rivers in during the fall months. You will find most Arctic char in freshwater rivers to be within the 1-5 year age group. A grewat fighter it loves to break the surface while you reel it in! An agressive fish is colour can depend upon on its diet. It is rare than a speckled trout. The colour of this fish is not specific, as it changes depending on the time of year and the environmental conditions of the lake/river where it lives. 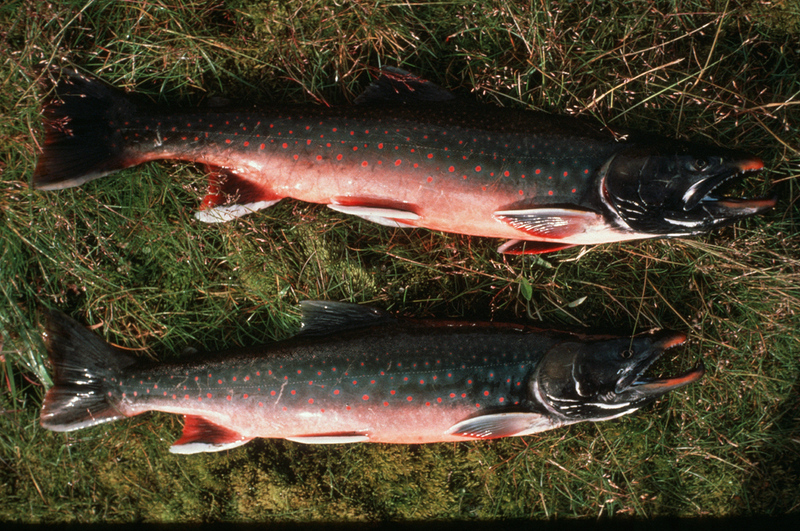 The Arctic char is a highly priced fish as they are quite rare and considered a Northern delicacy. 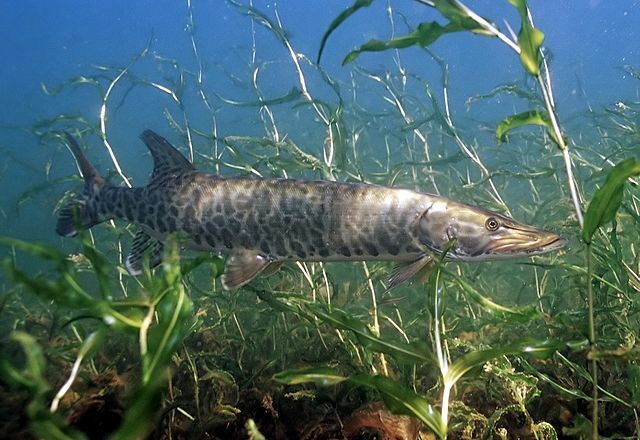 The musky is the largest representative of the pike family, they are typically 28–48 inches long and weigh 15–36 lbs. The muskellunge puts up a spectacular fight. It is often mistaken for a Northern pike, but its behaviour is less predictable and its flesh is much more delicate. The fish are a light brown, silver, or green, with dark vertical stripes on the flank- these may tend to break up into spots. In some cases, markings may be absent altogether, especially in musky who inhabit turbid waters. In Quebec, the musky is one of the most sought-after fish because of its size and aggressiveness. This fish lives in concentrated areas of fresh water that surround the Ottawa River, St. Lawrence river, and waters near Montreal. 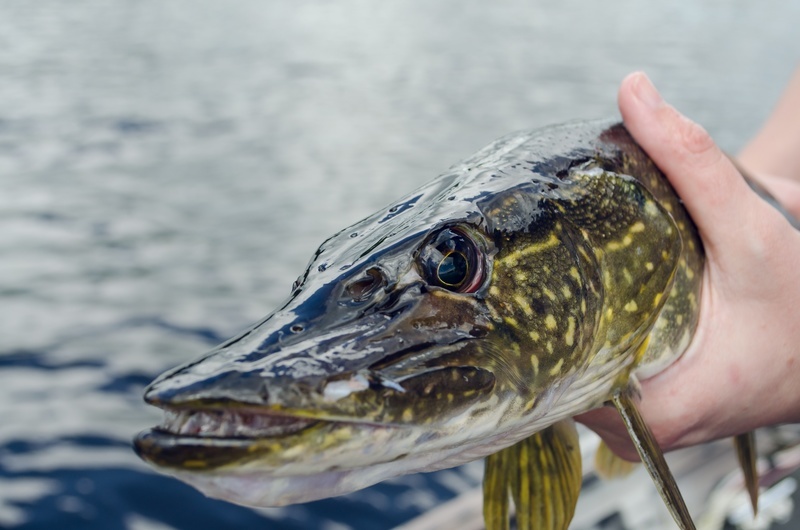 While musky fishing has become increasingly popular in the Quebec area, it is important to participate in the catch and release ethic in hopes to ultimately save this amazing species of fish. The agressivness of smallmouth bass is a trait greatly appreciated by anglers. If you love watching fish jump of the water and having a bent rod, then bass fishing is for you. Knowing that these fish spawn in spring, great smallmouth bass fishing usually begins by early summer and peaks mid summer. Smallmouth bass can weigh anywhere from 1-6 pounds, but even the smallest bass put up a fight! These fish are likely to be caught during the summer months because of the shallow and warm water. Smallmouth bass taste great, some even say they taste like walleye. Bass are dark in colour and have contrasting marks in clear and grassy water. They have a wide head, large eyes, and a relatively large mouth. 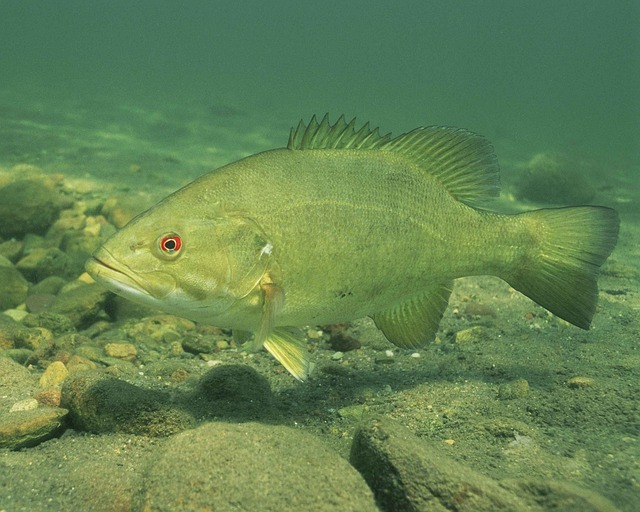 In Quebec, smallmouth bass are frequently caught in the St. Lawrence River. Perch is better known for its taste than its fishing qualities. This species is highly praised by gourmets. 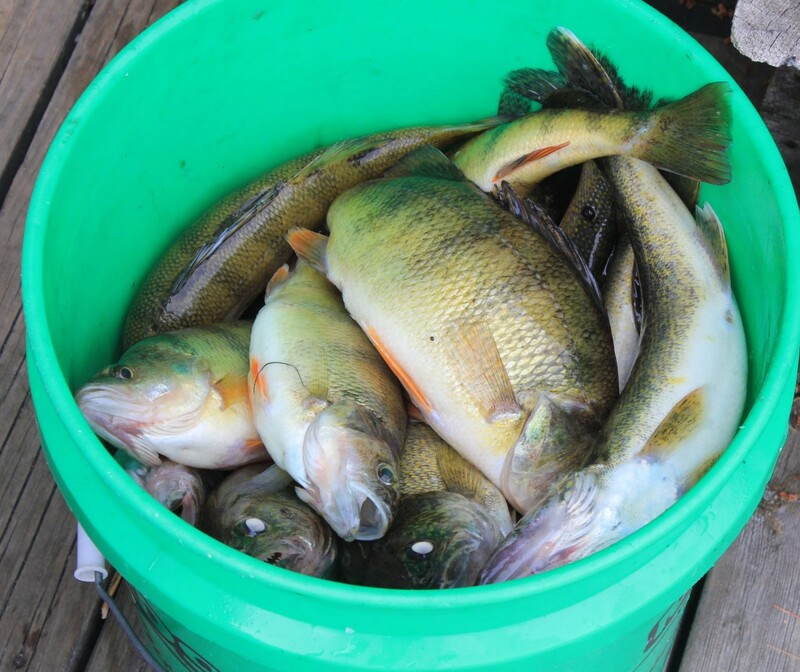 Since this fish is active throughout the year, fishermen can catch Perch year round. The fishing is just as great in the winter as it is in the summer. Perch are a widespread and abundant fish species so they play a huge role in aquatic fish webs. In fresh water bodies that have limited predator species, the perch population can reach extremely high densities. Yellow perch often live up to 10 years, where adults can range from 4-10 inches in length. The Lake Sturgeon is a very impressive fish where its average size varies between 90cm and 140cm and its average weight, between 5kg and 35kg. Its a large fish, its elongated body looks as though it is covered with bone plates that give it a prehistoric look. This species is known to live a long life, where some females can live as long as 80 years. The oldest known specimen was 154 years old! 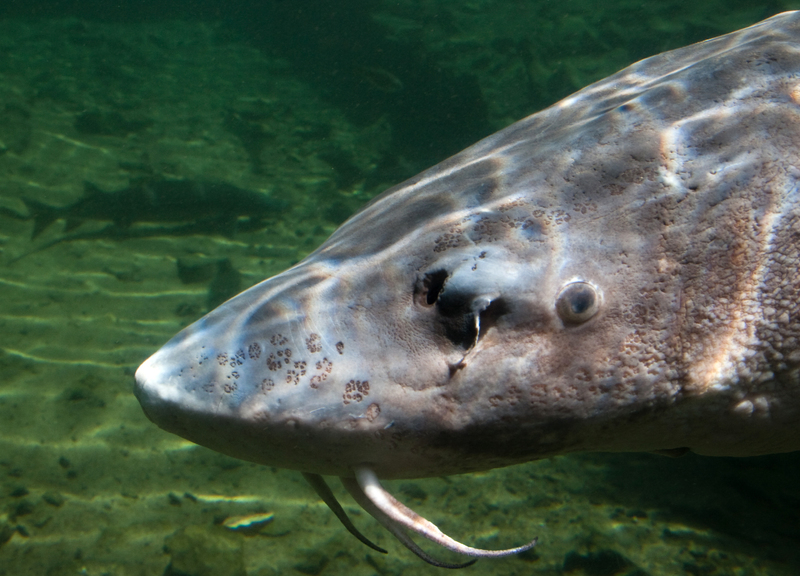 Lake Sturgeon are a dark to light brown colour on the back and sides with a lighter belly. It is a a bottom feeder fish so it dwells in muddy areas of large lakes and rivers. There are only 63 known extant populations in the Great Lakes and Western St. Lawrence basin so they are a rare catch. As of November 2006, the Lake Sturgeon is considered a threatend species- it is important to practice the catch and release ethic. The splake is a man made hybrid between the lake trout and the speckled trout. Splake, otherwise known as wendigo, have been stocked in various lakes. The average size of this fish is 10-18 inches and can weigh between 1-3 lbs. This fish has tri-coloured fins and a dark body contrasted with light spots. They are usually found in shallow water, but are sometimes found in deeper areas during feeding times. Some common baits to use while fishing include: small minnows, earthworms, jigs, spoons, spinners, and small plugs. The splake is also a great ice-fishing catch! 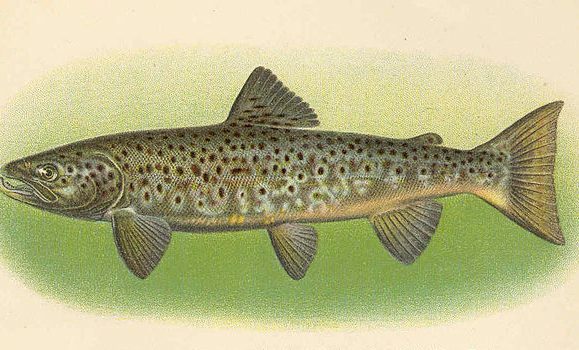 The brook or speckled trout is a very popular fish in Québec. 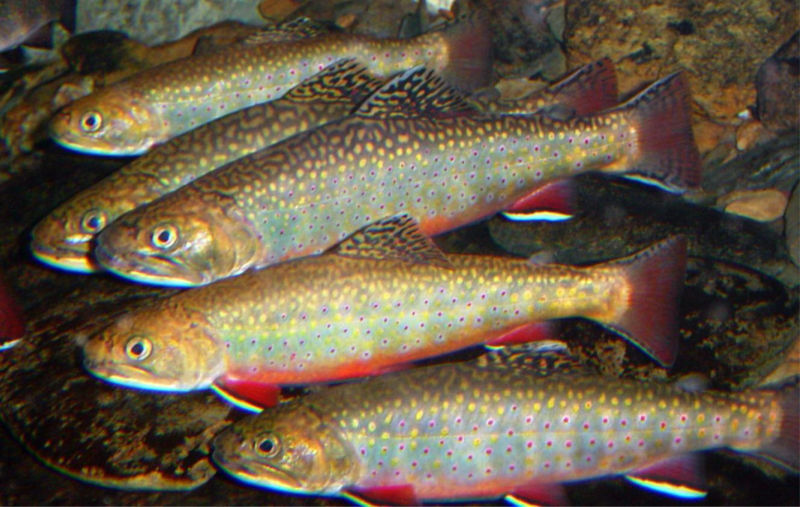 The brook trout, also known as the brook trout, is the one species anglers enjoy the most! It bites agressively and is ferocious once it is on your rod!. Found throughout Quebec this species is readily available nglers prefer to catch and release, while others like to cook hearty meals as a shore lunch and take some fish home. Trout is widely known as the best tasting fish in Quebec. Trout fishing is a great opportunityto introduce new anglers to the joy of the sport: these fish are readily available, easy to catch and are very abundant. 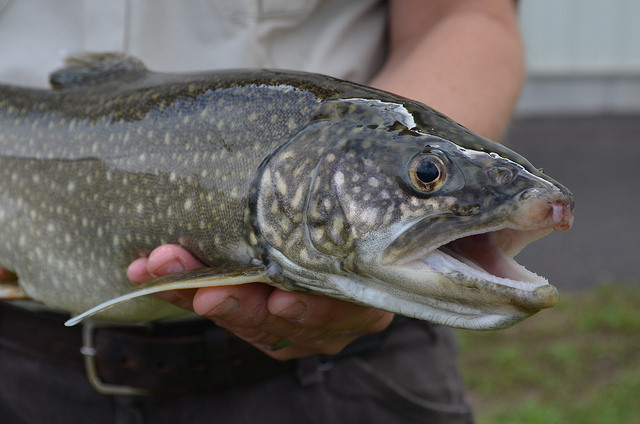 The majority of Quebec’s brook trout are native to Quebec, thanks to wildlife and management practices that keeps native trout stocks healthy. Ice-fishing is a great way to catch these fish as well!